More checks will be added in the future. Let us know what you would like to see. 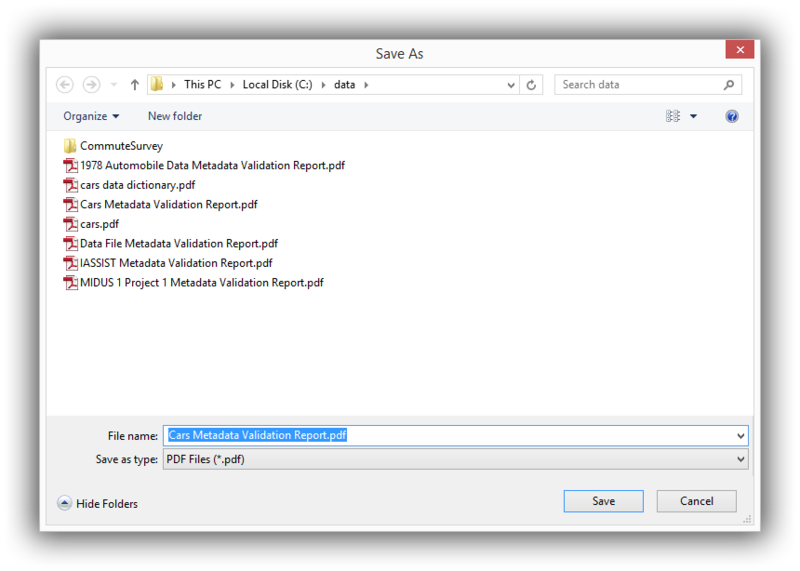 Follow these steps to check the quality of your metadata. Click the Validate Metadata Quality button on the Colectica ribbon. Choose where you would like to save your report. 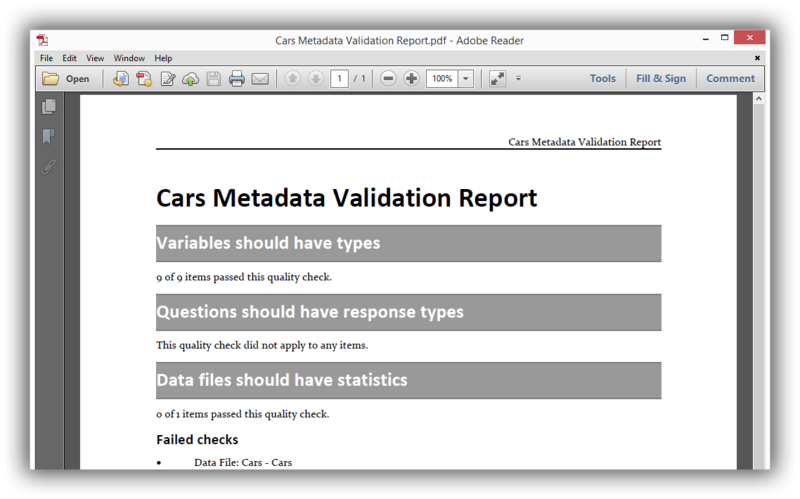 Colectica will create your metadata validation report.